In Situ Solidification (ISS) is a proven technology for remediation of upland sites, particularly Manufactured Gas Plant (MGP) sites. Additionally, ISS is an emerging technology that can be utilized to remedy submerged sediments on contaminated sites. ISS can be used as alternative to traditional dredging and capping operations. 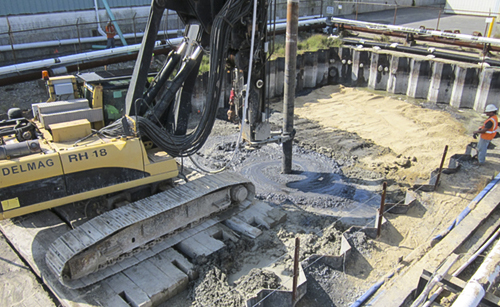 The application of a treat -in -place technology potentially reduces the cost of water and dredge spoil handling and disposal. Additionally, ISS can be performed at deeper depths without a considerable increase in overall cost of the remedy. ISS of submerged sediment is performed in similar fashion to upland ISS, whereas slurried reagents are mixed with sediments via an auger or similar soil mixing tool to facilitate creation of a homogenous mixture of soil/ sediment and grout. 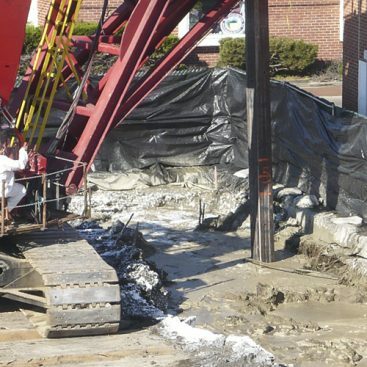 The slurry is incorporated into the sediment to create individual columns that are combined to form a low permeability monolith over the site. 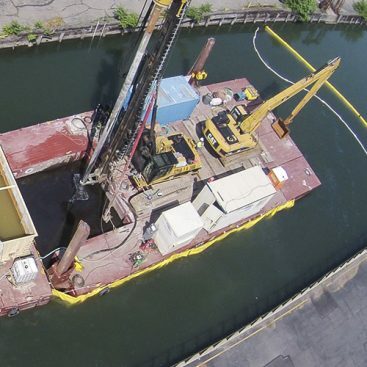 The work is typically performed from modular or standard barge systems, and the on-site batch plan can be located on land or over the water. GSI has experience performing multiple pilot tests for this emerging technology on high profile sites including a project for the USEPA. Projects have been successful in meeting the performance goals while maintaining minimal impact to the aquatic environment. 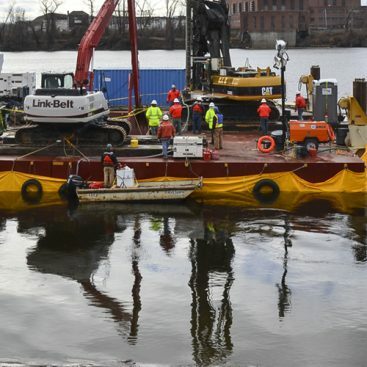 ISS of submerged sediments can be utilized in many different industries for river and harbor applications as well as storm water or process pond applications.